"Here's A Quick And Easy Way To Get Loads Of People Promoting And Linking To Your WordPress Blog, Without You Paying Them A Penny"
Have you ever considered paying for ads to promote your blog? It may sound like an easy solution, but it also carries substantial risk of paying out more than you earn. It would be far better if you could give other people a financial incentive to promote your blog, without any risk at all. And that's exactly what our new WP Promo Bot software allows you to do. 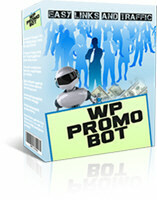 To use WP Promo Bot, you must have AdSense ads (or some type of affiliate ads) on your blog. When someone promotes your blog, they use their own special link (created by the WP Promo Bot plugin). Visitors arriving from this special link will see your blog as normal, but all the ads on the blog will use the promoters AdSense ID (or affiliate ID) instead of your ID. 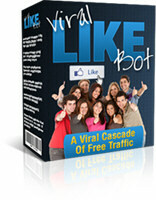 This gives promoters a HUGE incentive to link to and send traffic to your blog, since they get paid for every visitor. And it means you do not have to pay anything up front for the links/traffic, so there is zero risk to you. Of course it does mean that you don't earn anything from the primary AdSense (or affiliate) ads on your blog for these visitors. However you can still earn from any secondary ads on the blog and you can still build a mailing list from the blog. So this is a great win-win scenario for everyone concerned. With WP Promo Bot, the whole process is managed for you. There is also a special tool to upload the plugin (or you can upload using any other mechanism you wish). Once you have uploaded the plugin, you create a new page on your blog, to allow people to create their own special link. To create their link, a person just enters his or her AdSense ID (or affiliate ID) into the box and clicks the Submit button. The person then just sends traffic to that special link. When any visitor arrives at blog through one of these special links, the relevant AdSense ID (or affiliate ID) is automatically inserted into every page of the blog, replacing your ID. The plugin uses a very simple "text substitution" mechanism. This means that it can be used with any ID from any affiliate program or ad program. It simply replaces every occurrence of your ID on each page with the promoters ID. This also means that it is very easy for promoters to check that it is working properly. They only need to view the source of the pages of your blog to instantly see that their ID has been inserted into the pages. Giving away 100% of your AdSense (or affiliate) income is the best way of persuading lots of people to promote your blog. But it does of course limit your own potential for making money from the visitors. So if you prefer to only offer 50% (or some other percentage) of the income to promoters, you can easily do this using the plugin. Just enter the relevant percentage into the Create WordPress Plugin Tool (shown above) and the plugin will automatically manage it. So for example, if you selected 50%, the plugin would use the promoters AdSense ID (or affiliate ID) half the time and your ID the rest of the time. When a visitor arrives at your blog through one of the special links, the plugin saves the relevant AdSense ID (or affiliate ID) in a cookie. This means that all the posts/pages viewed by that visitor will use the correct ID. You can select the duration of the cookie using the Create WordPress Plugin Tool (shown above). You can choose to have the cookie only last for the current session, so if the visitor returns to the blog in future, it will use your AdSense ID (or affiliate ID). Alternatively you can have the cookie last for a day, a week, a month, a year or any other time you want, giving additional incentive to people to promote your blog. You just enter the title and text for your ad. You can instantly see what the ad looks like, so you can adjust it until you're 100% happy with it. You then add the widget to the side of the blog (in the same way as any other widget). The ad will then appear automatically at the side of your blog, encouraging people to link to and promote your blog. Many webmasters and bloggers have found that paying for links and traffic is a high-risk strategy. WP Promo Bot offers a unique alternative, giving people a powerful financial incentive to promote and link to your blog, with absolutely ZERO RISK for you. There is no ongoing cost or effort. Just a single quick and easy setup - and then you leave the system to continually manage everything on autopilot. But if you order right now, you get your copy for the ridiculously low price of just $19.95. 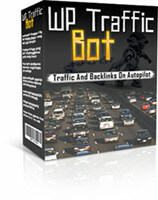 WP Promo Bot is one of our three powerful WordPress traffic plugins. With our special offer, you can get all three plugins together at a special discounted price of 50% off. 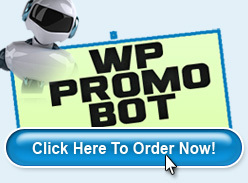 If you've decided NOT to order the 50% Discount Special Offer, you can order WP Promo Bot now for just $19.95 using the button below.  No Support For WordPress Cache Plugins: WP Promo Bot cannot be used with WordPress cache plugins. Ad Unit Code Must Contain Your ID: The Adsense or affiliate ad units on the blog must include your affiliate ID in the code, which is then replaced with the appropriate alternative ID. Most ad units do include the ID in the code. Earnings Disclaimer: Although we provide a powerful solution that can generate traffic and links to your blog, the results are dependent on many factors outside our control. We are not therefore able to give any guarantees about the level of traffic or income that you will attain by using this software. We will however happily refund your money in full in the unlikely event that you are unhappy with your purchase.